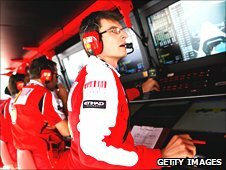 Pat Fry has replaced Chris Dyer as head of race track engineering at Ferrari following Fernando Alonso's failure to win the 2010 world championship. Dyer's role in the team will be "redefined" but he is seen to be paying the price for poor advice to Alonso in the last race of 2010, in Abu Dhabi. 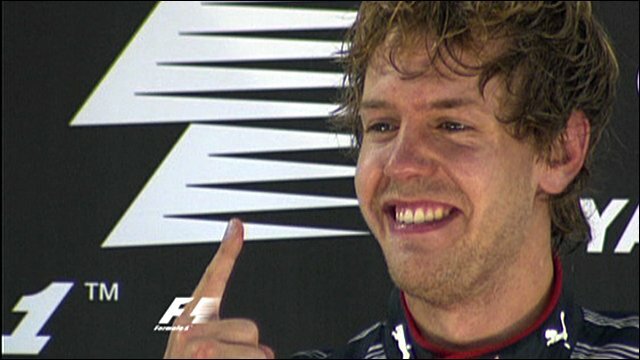 A top-two finish, or top-five if rival Sebastian Vettel won the race, would have seen Alonso take the world title. But Alonso came home seventh behind Vettel, crowning the German champion. Alonso was brought in for an early pit-stop but the move backfired as Vettel won the season's deciding race. The fall-out in Italy from Alonso's failure to win the world title after being in a winning position was so big that even politicians got involved in the debate. Afterwards, Ferrari team chief Stefano Domenicali admitted he had considered his own position over what happened in Abu Dhabi, and hinted that major change was on the way as a result. "The mistake was of a very great magnitude," said Domenicali. "It produced devastating effects. In a normal race it would have been a normal mistake. We need to avoid throwing everything into the sea, even the good things, just because of this mistake. But we will be making changes and we'll announce them very soon. "We will put whoever has to take delicate decisions in a position to have all the tools not to make mistakes again." The 46-year-old Fry spent 18 years as chief engineer at McLaren before joining Ferrari in July 2010. Fry, the existing deputy of technical director Aldo Costa, will be joined by new face Neil Martin, who takes the role of heading up the new Operations Research department. Ferrari will unveil their 2011 car at the end of January after it passed a series of mandatory crash tests last month.